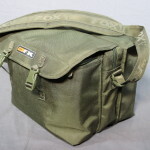 The Fox FX Stalker Chilla bag is a great bag for any fisherman who wants to put all their gear into a one bag and a quiver. If you are stalking or at least trying to stay mobile, this is a fabulous set up. 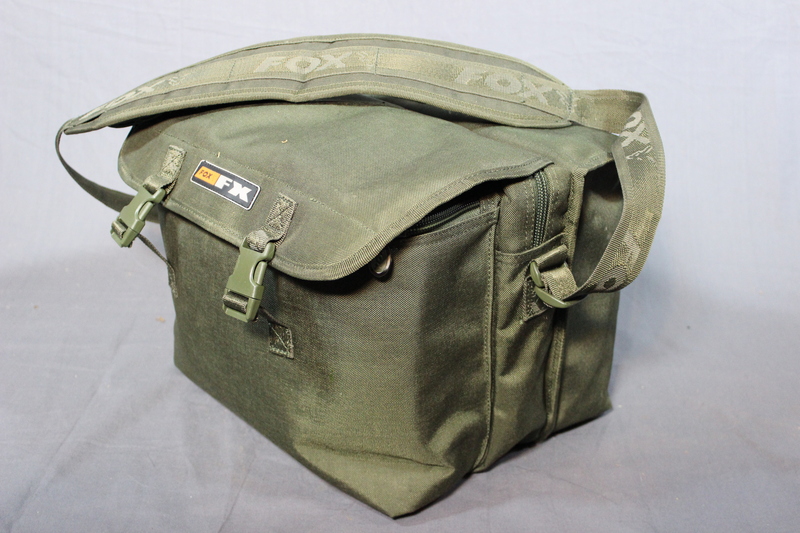 I have owned my Fox FX Stalker Chilla bag for about a year now and it has been my primary tackle bag for most of that time. Between my quiver and my stalker bag I have everything I need on my shoulders. I can get set up and take down much quicker. 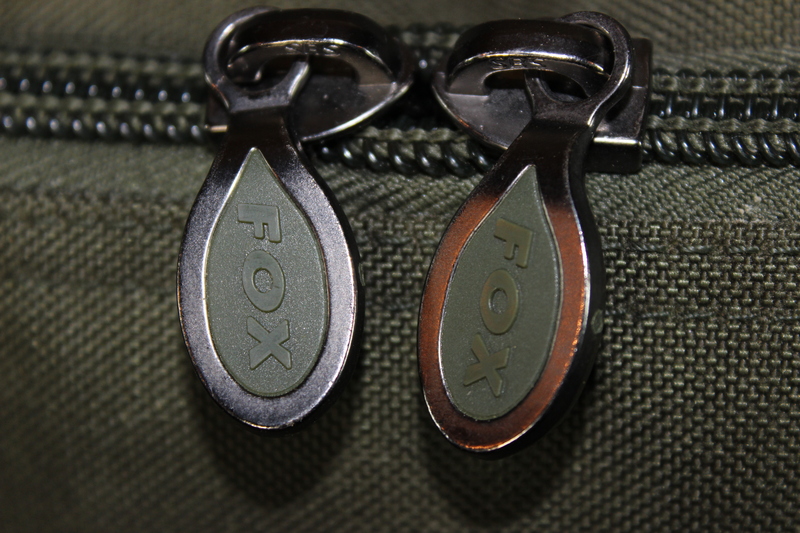 Here are some of the features of the Fox FX stalker Chilla Bag. When this bag is full of gear it gets pretty heavy so the extra plush shoulder strap is greatly appreciated. In my bag I carry a days worth of bait, glugs, goo, ground baits, my scale, weighing sling, bite alarms, bobbins, bite alarm receiver, stiff rig box, pva bags, spare spools, lead box, swivel and terminal boxes, and whateverelse is rolling around in the bottom of my bag. Another thing that stands out about the stalker chilla bag is the durability and weight of the materials and components. The nylon materials, webbing, clips, zippers and other components are all chunky and built to last. I have nothing break on my bag in the nearly 12 months I have been using it. One of the key features of the FX stalker chilla bag is the waterproof pocket with the removable washable lining. This pocket is great because it is absolutely water tight. This is great for protecting your car and gear. IF one of your glug pots leaks in your trunk, you will wish you had it stored in a water proof pocket. If your pocket gets too nasty your can pull it free from its velcro and hose it down. My wife confiscated one of my bags to use as baby bag. She loves the waterproof pocket to keep the dirty diapers. The water tight lining keeps the odor in (which is good for keeping bait odor in). 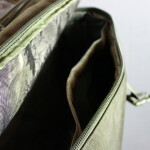 The flap that cover the top of two of the pockets acts as a nice waterproofing, which will help protect your PVAs. 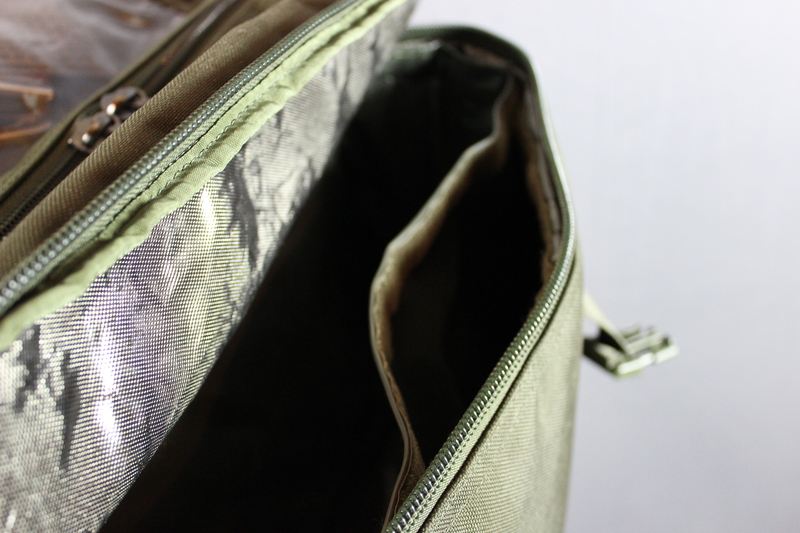 The underside of the flap has a clear pockets where you can store pliers, baiting needles, and other little bits of tackle. The bottom of the bag has four tough high traction feet that protect the bottom of the bag from wear-and-tear and keep it out of the mud a little bit. All in all, the bag is tough, durable and carries everything you need for a day session. 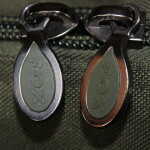 For a video review of the Fox FX Stalker Chilla Bag click here.